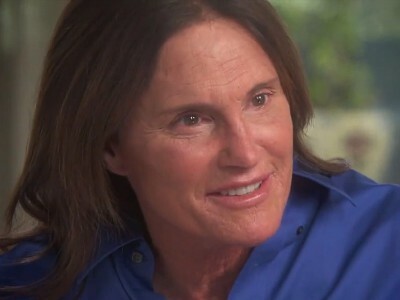 Bruce Jenner will be re-introduced to the world as a woman on the cover of Vanity Fair this summer. Jenner, 65, will be photographed by by Annie Leibovitz who has shot many of the magazines most iconic covers in recent decades, People.com reports. It was last month in an interview with ABC News that the Olympic champion and reality show star ended months of speculation and confirmed that he is transitioning to female. But Jenner has yet to reveal a female name or to appear publicly as female and has requested he continue to be referred to by male pronouns for now. The cover would likely coincide with the debut of the reality series about his transition that will air this summer on E! Two episodes of Keeping Up With the Kardashians this month focused on family reaction to Jenner’s transition. I will be interested to see what the Vanity Fair photo spread will look like. I wonder what his plans are for after his transformation? @Charlie-He intends to advocate for transgendered rights with the Republican party that he votes for. I wish him success but it will be a rude awakening. I’m still disgusted and apalled that anyone in the LGBT community would choose to vote for a party who want us living as second class citizens in perpetuity. @Chip-You are correct, he will be insulated from the usual discrimination other transgendered Americans have to deal with everyday which is pity. I say that not because I wish Caitlyn Jenner abuse but it seems republicans can’t seem to empathize or understand the issues until it happens to them. Jenner’s party still won’t change their antiquated view of our community though.